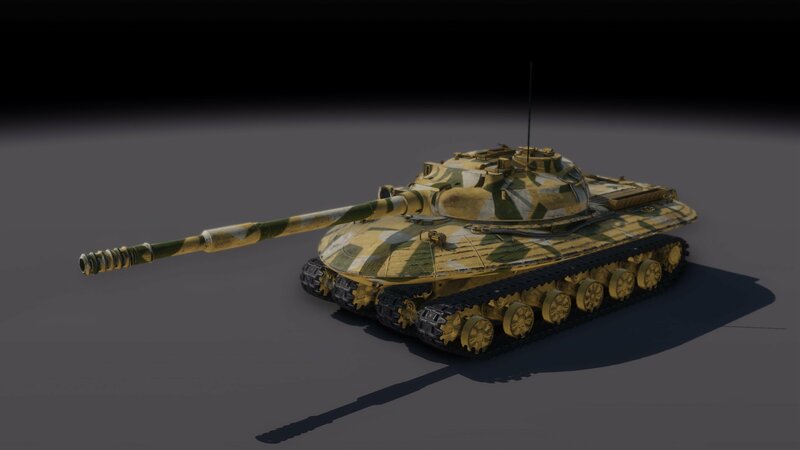 In Update 0.24.4598, a brand new Premium Soviet Main Battle Tank called Object 279 was introduced! 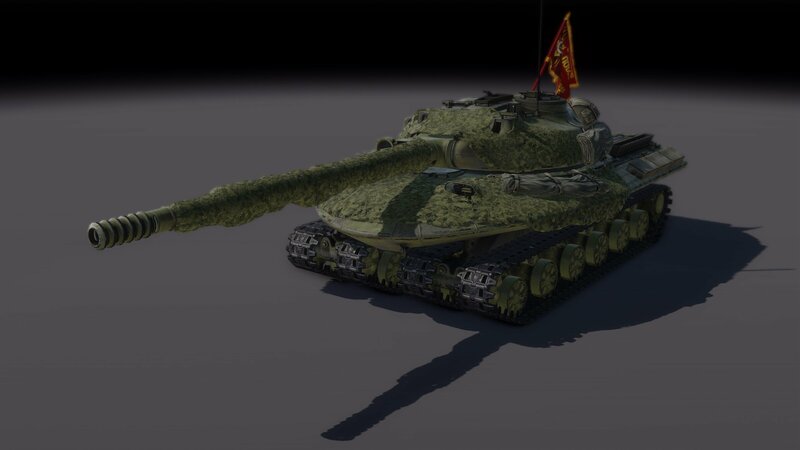 The Object 279 is a Tier 4 MBT. At first glance, it’s quite unique – both by its ufo-shaped hull and its four tracks. The hull actually consists of spaced armor layers, making the vehicle almost completely impervious to contemporary armor-piercing and HEAT shells (especially the American 90mm HEAT). 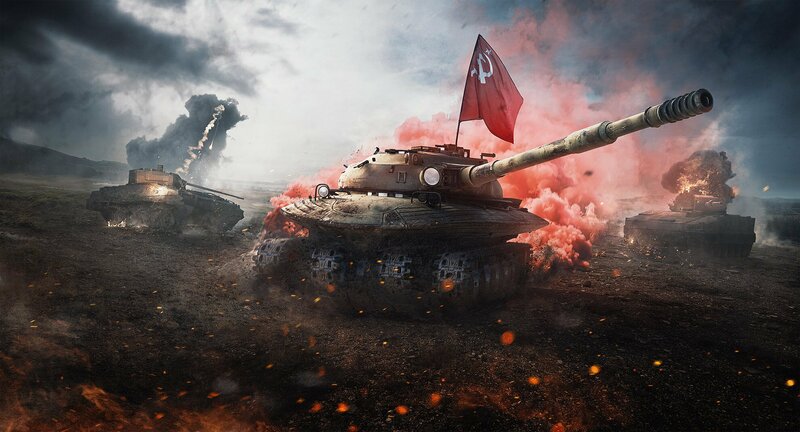 In Armored Warfare, the vehicle is therefore extremely durable with its turret and its hull providing enough protection to allow it to reliable resist the fire from other vehicles of the same (or even higher) Tiers. Its hitpoint count too is the highest of its Tier. The turret (typically Soviet-shaped and very thick) is armed with a 130mm high-power M-65 cannon that is capable of dealing a tremendous damage if it penetrates. Compared to the other vehicles of the same Tier, it has quite low penetration value, but the damage value is amongst the highest. 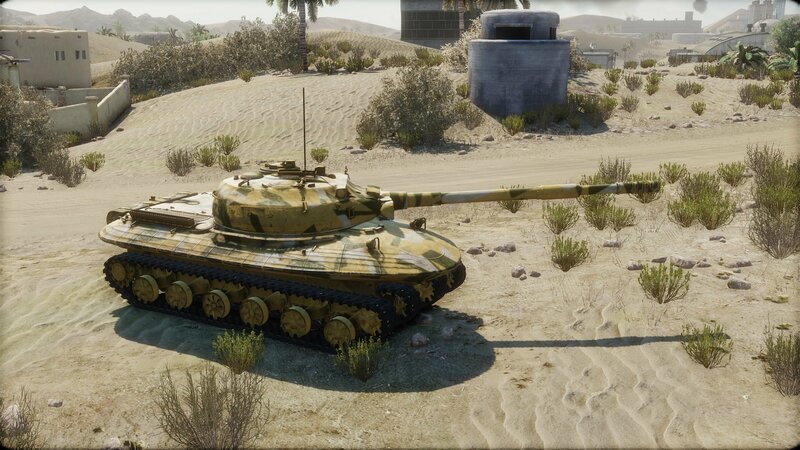 Compared to another Soviet Heavy Tank behemoth, the IS-7, it can fire faster, but its reload time is still quite high. In other words, it is a slow-firing tank, but when it hits, its massive shells make quite an impact. Additionally, the gun has excellent depression and elevation values (-9/+19 degrees). The four tracks transfer the power of its 1000hp diesel engine to the ground fairly well but, more importantly, offer excellent ground pressure value, which in turn reflects in great off-road capabilities for its weight of 60 tons. As long as you are going forward, that is – the steering was in reality never successfully resolved, making the tank relatively fast but sluggish when attempting to turn. On the upside, the suspension is quite tough, making the vehicle very difficult to immobilize by firing at its tracks. But the most exciting feature of this vehicle is its hydraulic suspension. The vehicle can lower itself to the ground to reduce its silhouette and to become firmly planted to resist a real-life nuclear shockwave. In other words, the vehicle can switch to a defensive lowered mode where it becomes less mobile but more durable and difficult to destroy. 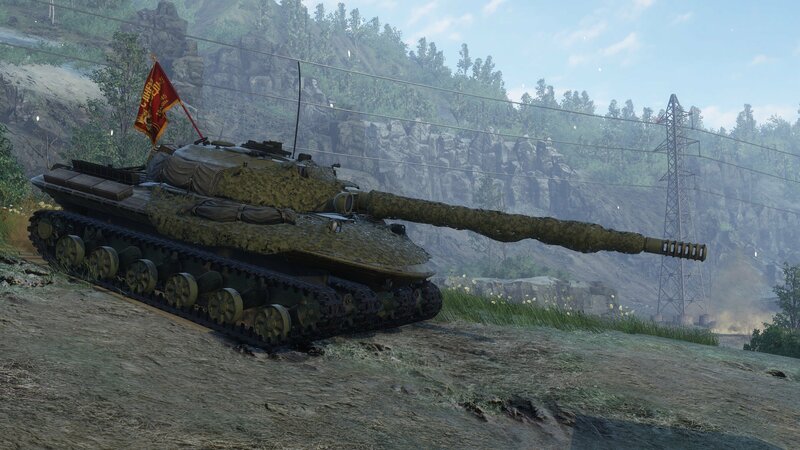 As such, the Object 279 is suitable for players who prefer defensive gameplay and slower, methodical advances instead of fast dashes across the battlefield. It can serve as an excellent frontline anchor – your allies will be grateful for helping it defend critical areas from enemy onslaughts or for leading a slow but relentless charge while deflecting one shot after another.